Celebrate Hanukkah with eight nights of kitchen style. It's almost the 25 of Kislev, and you know what that means. It's that annual celebration of the successful Maccabee rebellion against the Seleucid Emperor Antiochus IV Epiphanes—Hanukkah! This year, the eight-night Jewish holiday begins on December 12, which will give you through Dec. 20 to light the menorah, play dreidel and, of course, eat. From latkes to brisket to gelt and back, those Hanukkah dinners are a holiday delight. 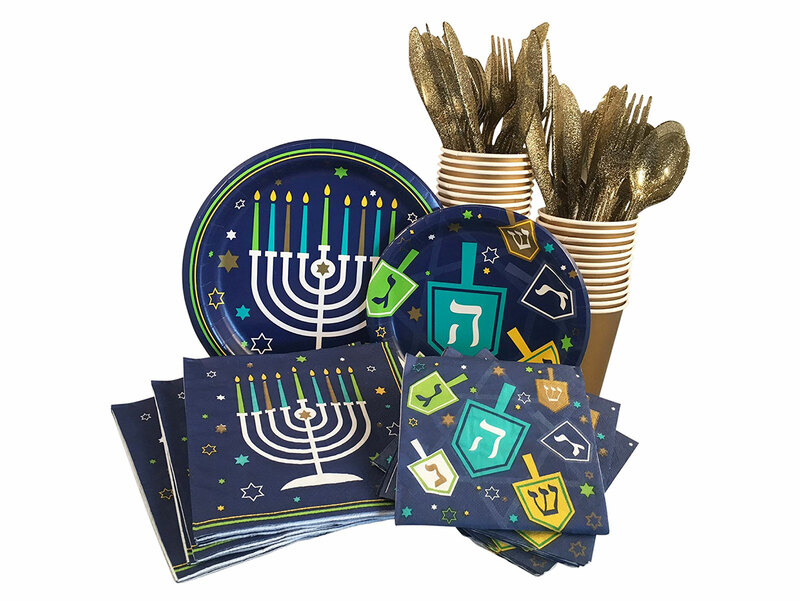 So why not have some dining décor to match your menorah? Food & Wine has compiled eight great Hannukah-themed pieces to match those nights (plus one more, but that's not quite as thematic). 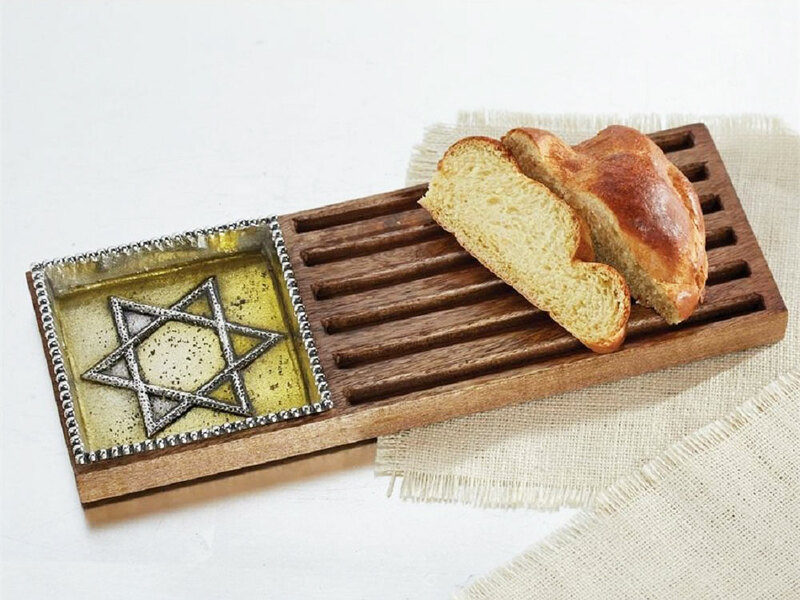 Serve that challah bread in Hanukkah style with this bread board set. And when it's time to carve up the brisket, what better board than this? 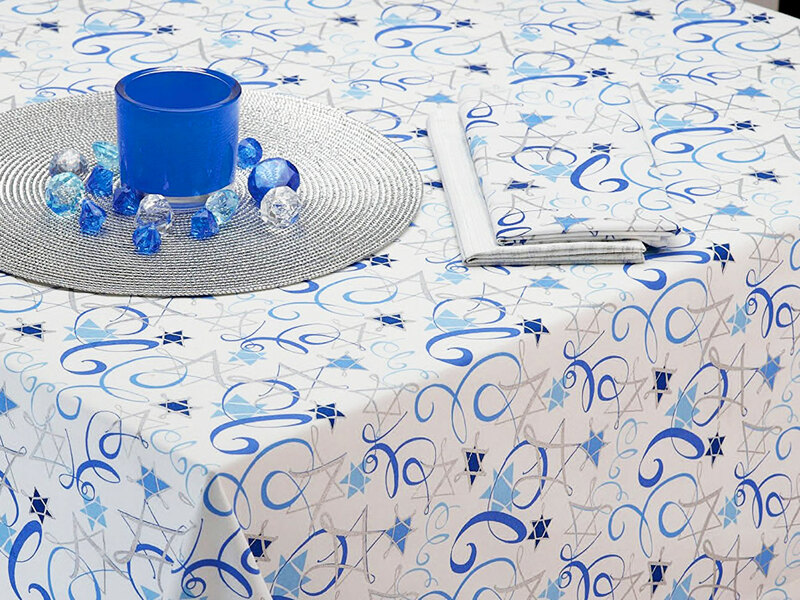 For a classy but thematically clear tablecloth option, try this 14-by-70 inch option. 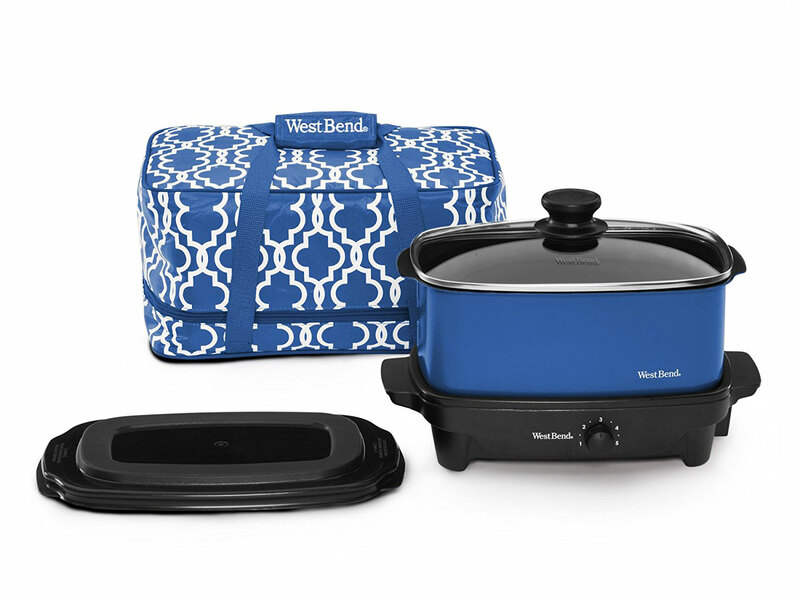 You'll only break these out eight times a year, but this set of plates, napkins, cups, and utensils is about as well-suited for those times as you can find. 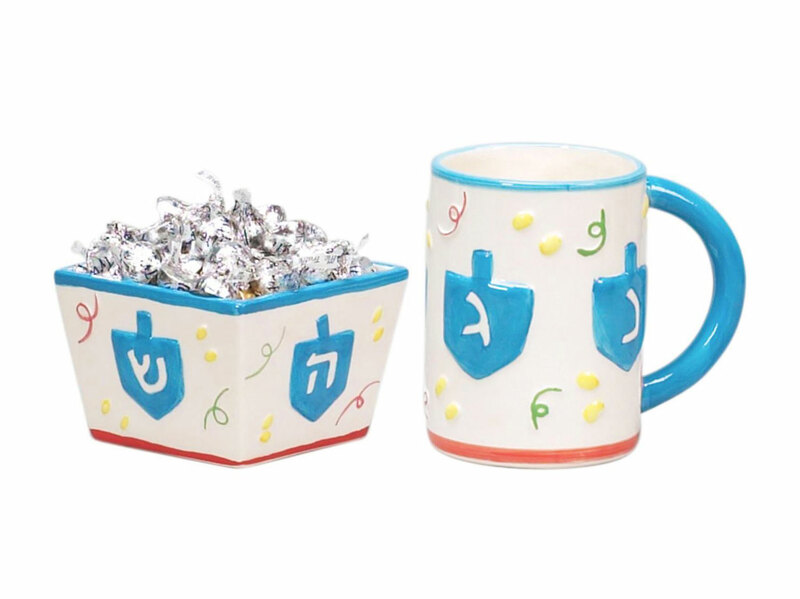 For your Hanukkah-morning coffee and Hanukkah-whenever-you-feel-like-it snacks. 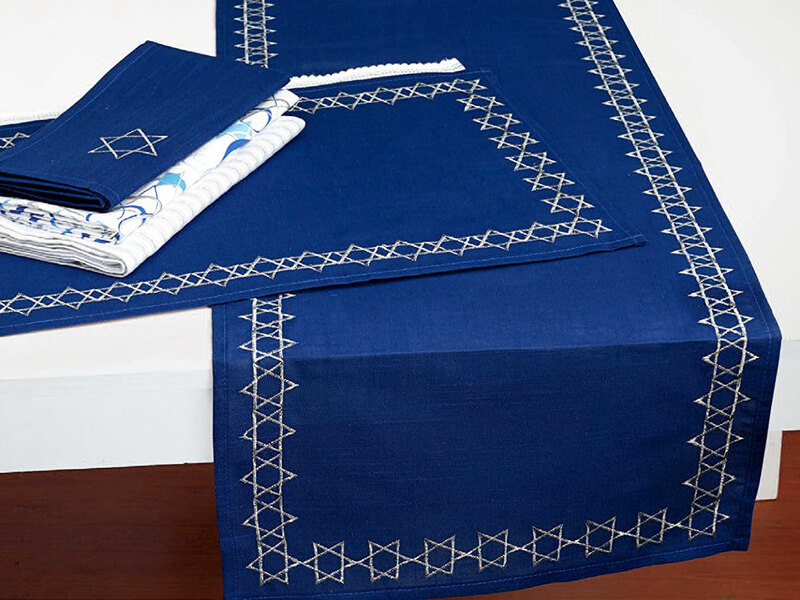 If you're making your Hanukkah dinner a party, this might be the best tablecloth choice out there. 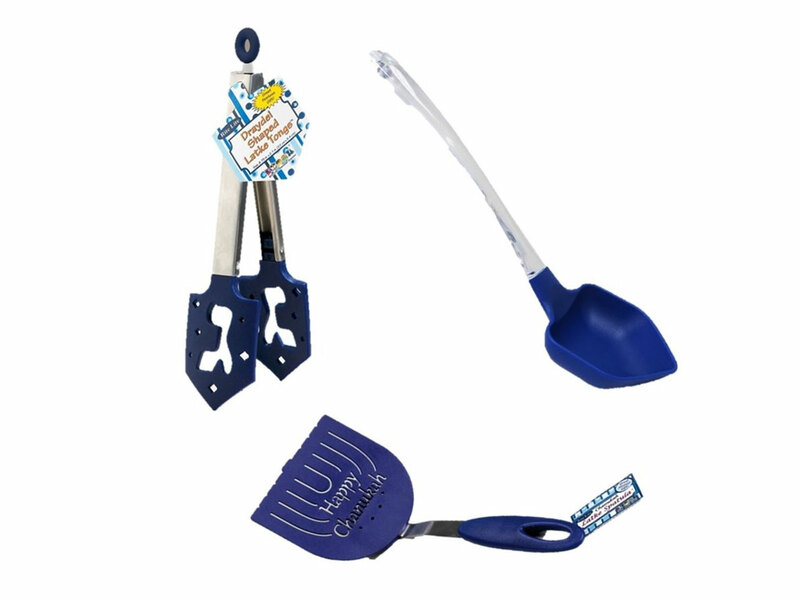 For the most committed to themed cooking equipment, there's nothing better than this menorah spatula, dreidel-shaped latke tongs and very-fun-to-say-out-loud dreidel ladle. 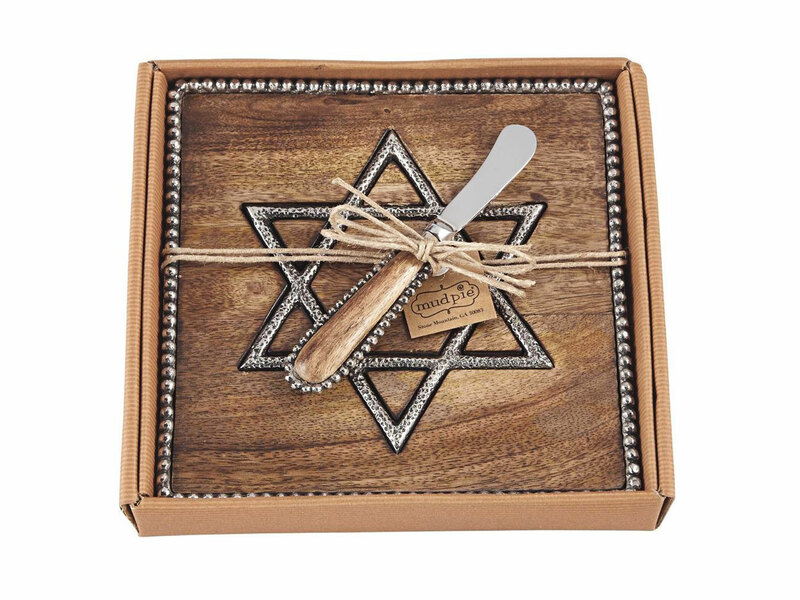 Bring this key brisket tool anywhere, or just put it on the serving table—while not explicitly Hanukkah themed, its design is perfect for the holiday. 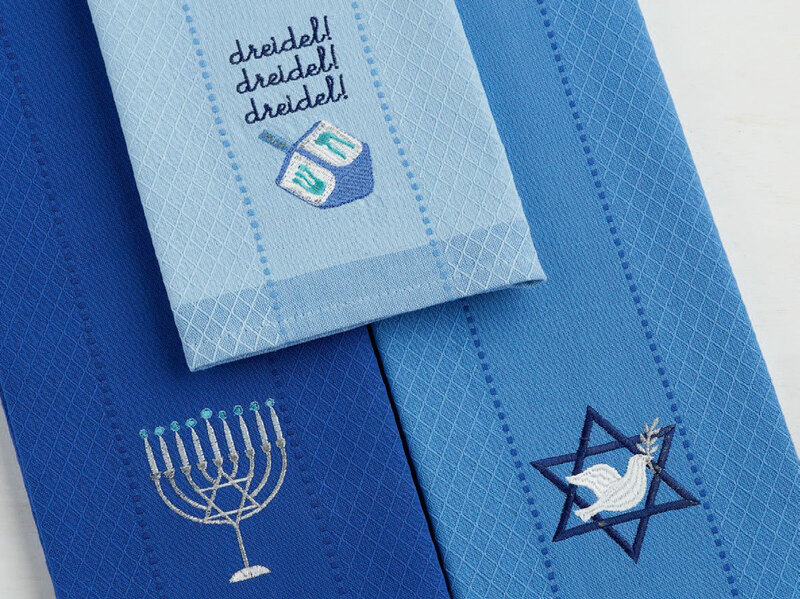 Whether you're wiping down dishes or cleaning off the menorah, there's no reason your tool of choice can't be Hanukkah-styled too!